The situation around the establishment of a Russian air base in Belarus remains uncertain. Apparently, Minsk is continuing to bargain. In response, Moscow has postponed implementation of its earlier obligations to supply weapons to Belarus. The Crimea crisis did not prevent cooperation between Belarus and Ukraine in either the military or industrial sphere: Ukrainian companies can participate in the modernisation projects of the Belarusian Air Force. The Ministry of Internal Affairs continues to try and solve their staff shortage problems and improve the quality of its personnel, while the Belarusian military and industrial complex reaffirms its priorities with its pilot projects in the field of unmanned aircraft. The Armed Forces recently held the first phase of its joint staff training. The event has been scheduled to be held in two phases: the 1st phase will be held from 11-14 February and the 2nd phase will be held from 25-28 March. The main objective of the training is to develop the most suitable option for Belarus' Armed Forces, as well as other troops and military formations in accordance with the latest proposed simulated situation. The event should be considered in conjunction with the operational readiness test of the Belarusian Armed Forces, which took place on 21 January to 10 February. The national military command pays a lot of attention to the organisation of a sustainable and efficient system of military command should a military conflict arise. Apparently, the situation around the creation of a Russian air force base in Belarus remains unclear. This can be deduced when considering the fact that there has been a postponement in the arrival of four battalions and delivery of the air defence missile systems (ADMS) S-300PS to Belarus. If earlier they spoke about 2014, now the question is about 2015. On 20 February 2014, the Belarusian ambassador to Russia, Ihar Pietryshenka, said that a contract for a supply of four battalions and a command post of ADMS S-300PS from Russia had been discussed. It was not entirely clear whether the supplies would be made in exchange for payment, or if they were going to be given to the Belarusian side. In April 2013, the Russian Minister of Defence, Sergei Shoigu said that the weapons would be transferred "as is". The Belarusian side would only pay for transport costs and equipment repairs. Perhaps, however, there were looming questions about the contracts for equipment repairs, namely if they should be carried out in Russia or not. Since April 2011, when Russia first announced an agreement on supplying Belarus, they have repeatedly delayed their delivery. There is another unresolved issue as well – whether or not Belarus will need to purchase these new weapon supplies, albeit at a discounted price. Kazakhstan secured ADMS systems for free from Russia. The training of military personnel in Russia is provided to Astana at no cost. Despite the political crisis in Ukraine, cooperation in both the military and industrial spheres between the two countries is continuing to develop. The Cabinet of Ministers of Ukraine has granted permission to the Radar production plant (Kyiv) to export military goods to Belarus. This decision has been carried out, and is possible, due to the official "Agreement between the Cabinet of Ministers of Ukraine and the Government of the Republic of Belarus on the production and scientific and technical cooperation between the defence industry enterprises." The Radar production plant from Kyiv is one of the most advanced enterprises in Ukraine, which specialises in manufacturing modern radio electronic and radar equipment for aircraft and helicopters. Its products can be used to support the implementation of modernisation projects for MiG-29 and Su-27 fighters, as well as the Su-25 attack planes of the Belarusian Air Force. There is some information emerging about the nature and results of the reforms that are taking shape in the Interior Ministry that was previously announced by the authorities. However, no fundamental changes have yet occurred. Some avacant posts were cut, some secondary services (such as physical training) were cut, and personnel were partially redistributed throughout the system which has been experiencing high workloads. In order to stabilise the personnel situation, the ministry has intensified its vocational guidance for youth. In schools, there are 178 classes and 11 groups that concentrate on legal studies, comprising of more than four thousand students. The greatest concentration of students who are engaged in these profession-oriented studies are in the Brest and Homiel regions, as well in Minsk. As a measure to improve the staffing of the Interior Ministry and the quality of the selection process, the period of initial training for future policemen has been increased to six months and the training programme includes more practical training. The problem remains very acute. Thus, more than a quarter of posts in the transportion police in Minsk and the Minsk region remain vacant. The staffing situation is also unstable in the Homiel region. This year, official tests are planned for Belarus' own drone, called the Burevestnik, which has been designed for aerial reconnaissance and surveillance. Its developer, the Physico-Technical Institute of the National Academy of Sciences, says that communication with the unmanned aerial vehicle​ (UAV) is guaranteed at a range of up to 290 kilometres. In a pre-programmed stand-alone mode the flying range of the drone is over one thousand kilometres with it being able to stay in the air for up to 10 hours. The latter figure, it is expected, can be increased by still another 50%. Statements about the drone's range and plans to hold official tests for the UAV Burevestnik this year may be overly optimistic, especially when judging from the experience of the development of the UAV Grif-1. Most likely, the project's schedule will be susceptible to shifts. The financial security of the project is also unclear. The simultaneous nature of upgrading two UAVs (Burevestnik and Grif-1) suggests that they will be proceeding in more or less the same direction. Most likely, there are plans to use more composite materials their frames' construction and, most importantly, to install different engines. Tactical exercises with the 1st reactive artillery battalion of the 1199th reactive artillery regiment took place in the Homiel region during 24-26 February. 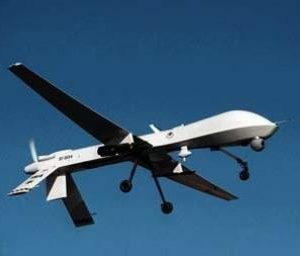 During the exercises, combat with the assistance of regular drone surveillance and using them during massive attacks to systematise firing was perfected. The accuracy of carrying out strikes at long range was also assessed. This phase of the exercises, which combined the UAVs with traditional operational forces, focused on the application of multiple and single missile strikes on specific targets. It culminated in a multiple missile strike from an entire battalion, with each of its twelve combat vehicles firing sixteen rocket-propelled missiles. 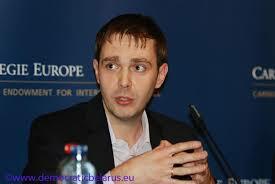 Andrei is the head of “Belarus Security Blog” analytical project. What Policy Can The Belarusian Economy Sustain? The official forecasts for socio-economic development in 2014 is as conservative as it has ever been: the projected GDP growth is only 3.3%. International organisations and independent forecasters are even less optimistic. The economic authorities' plans for 2014 are also unusual. Less than two years before the next presidential election, the "pillars" of the Belarusian social contract – wages and employment – are being affected. It has been stated officially that the real wages in the budget sector will only grow in the case of layoffs. According to official projections, employment levels will decrease in 2014 by about 3.4%, mostly through the "optimisation" of employees in state-owned enterprises and budgetary organisations. Against abackground of such major changes, there are plans to significantly raise utility costs for households – a very unpopular move. Why are the authorities adopting such measures? In 2013, the current account deficit reached alarming levels and households turned into a net buyer of foreign currency. If it had not been for tight monetary and fiscal policies, which were launched under the Joint Action Plan of the Government and the National Bank, the situation on the currency market in late 2013 could have been much more complicated. Will the implementation of the initiatives already announced by the economic authorities be sufficient to stabilise the situation in 2014? If yes, how stable will the balance they strike be? And what happened to the economy that was called the "Eastern European Tiger" just a couple of years ago by some official media outlets? Indeed, economic growth has all but come to a halt in recent years. In 2009–2013, the average annual real GDP growth rate was only 3.2%, and this was after a 10% average annual growth rate in 2004–2008. Even in the early 2000s, when the country was experiencing the effects of the Russian financial crisis and its own inconsistent policies, economic growth was higher (5.1% during 1999–2003). It seems that the Belarusian economy cannot grow at a rate consistent with the status of a country that is "catching up" in its development with more advanced economies. A very simple illustration of the situation with long-term economic growth is the decomposition of the real GDP in a time series that considers both long-term trends and a cyclical element. The corresponding estimates of the IPM Research Centre show a steady decline of the long-term trends for the real GDP growth rate. According to the most recent estimates, in December 2013 they barely exceeded 1.8% a year and five years ago (in December 2008) they reached 6.5% a year (see Figure 1). Moreover, the cyclical component of real GDP has been declining for more than two years, i.e. the authorities' attempts to revitalise the economy are not producing any real effects. One can come to the same conclusions through an analysis of aggregate demand. Growth in domestic demand, which was a stimulus for GDP growth over the last 10 years, is no longer having a positive effect for economic growth due to the negative contribution of net exports. Imbalances grow while the economy does not. The accumulation of imbalances provoked by "bad policies" (enhancing of growth in domestic demand through directed loans, quasi-fiscal budget operations and income policy) was the main cause of the currency crises in 2009 and 2011. Negative external shocks played an additional role both in 2007–2009 and in 2010. Once again, Belarus is facing a series of negative external shocks. In the first half of the 2013, a decline in exports occurred as a result of 2012's high levels of re-exported Russian petroleum products. In the second half of 2013 exports fell because of a sharp decrease in exports of potash fertilisers (due to a conflict with Uralkali, a partner in the Belarusian Potash Company) and petroleum products (Russia cut its crude oil supplies to Belarus as a result of the "potash conflict"). Finally, from 2013 to the present moment, Belarusian exports (especially exports of investment goods) suffered from stagnation/recession in the Russian economy. External shocks, which adversely affect its exports, were accompanied by an increase in imports under the influence of a rather rapid increase in domestic demand (both in consumption and investment). As a result, the current account deficit rapidly increased during the year and exceeded 10% of GDP in 2013, which is 2 percentage points more than on the eve of the 2009 crisis (see Figure 2). A loss of confidence in the national currency supplemented an increase in external imbalances. Again, the situation became even worse in Belarus when compared to previous crisis episodes: in the second half of 2013 very high interest rates scarcely helped to contain the outflow of Belarusian rouble deposits from the banking system, although in the beginning of 2014 the situation saw some slight improvement. The story is as follows: the economy of Belarus entered 2014 with a high current account deficit, unstable situation in the currency market and sub-optimal monetary policy – and all this against a backdrop of an unfavourable position in external markets, especially in Russia. It seems that there are many reasons to regard the Belarusian rouble as overvalued and growth in domestic demand as too high to maintain macroeconomic stability. From the perspective of macroeconomic stability (if we do not take into account changes in any external conditions), the possible scenarios for 2014 are tied to the country's exchange rate policy and macroeconomic (monetary and fiscal) policy. A return to a policy of credit or fiscal expansion would ruin rather quickly the current fragile stability, there are two options left: (i) a strict macroeconomic policy with a crawling band/peg or (ii) a stringent macroeconomic policy with a floating currency and inflation targeting as a new nominal anchor. From the perspective of external imbalances, the efficact of the first scenario depends on how far the economic authorities will go down the path of reducing domestic demand. The efficacy of the second scenario depends on how successfully the transition to a flexible exchange rate regime will be supported by monetary and fiscal policy measures. Both scenarios imply a curtailment of imports and some stimulus for exports, but if there is a transition to a free-floating exchange rate the effects will be considerably stronger and faster. Both scenarios mean that the economy of Belarus will endure recession or, at least, it will not grow by the 3.3% which the official forecast envisaged. There is one significant difference between the current situation and that of 2011. Even if the Belarusian rouble is adjusted in real terms by, let us say, 20%, it will result, according to our estimates, in about a 4% of growth in exports, which are not related to crude oil, petrol products or potash fertilisers. During a recession in Russia, even this potential effect appears to be highly debatable. However, since a fall in exchange rates will negatively affect domestic demand (this is eloquently demonstrated by Belarus' experience in 2009 and 2011), a growth in exports will be insufficient to ensure any growth in GDP. Thus, to maintain macroeconomic stability, it is desirable to combine the transition to a free floating exchange rate, backed up with a strict monetary and fiscal policy. However, even if this were to occur several important questions remain. First, a tight monetary policy implies a serious reduction in support for state-owned enterprises. A set of restrictive measures implemented by the economic authorities in late 2013 already led to decline in the financial status of Belarusian enterprises. Further curtailment of direct and indirect government support endangers the basic functioning of many state-owned enterprises. Accordingly, the restructuring and privatisation of state-owned enterprises will become pressing issues for the economic authorities. It is also necessary to first improve the efficiency and flexibility of Belarus' labour and capital markets. But making the decision to start structural reforms is very difficult for the Belarusian authorities. The last currency crisis took place almost three years ago and they still have not made the "new (old) decision" in favour of reforming state-owned enterprises. Without this choice, every possible scenario involves the risk of a return to supporting state-owned enterprises and the consequent risk of preserving of the current "model" for the economy, one which is prone to regular crisis and stagnation. The beginning of structural reforms can improve Belarus' position in any negotiations with the IMF and other international financial institutions. Regardless, the authorities will have to launch reforms without any financial support. It remains to be seen whether the economic authorities will be able to introduce a policy that the economy can sustain.